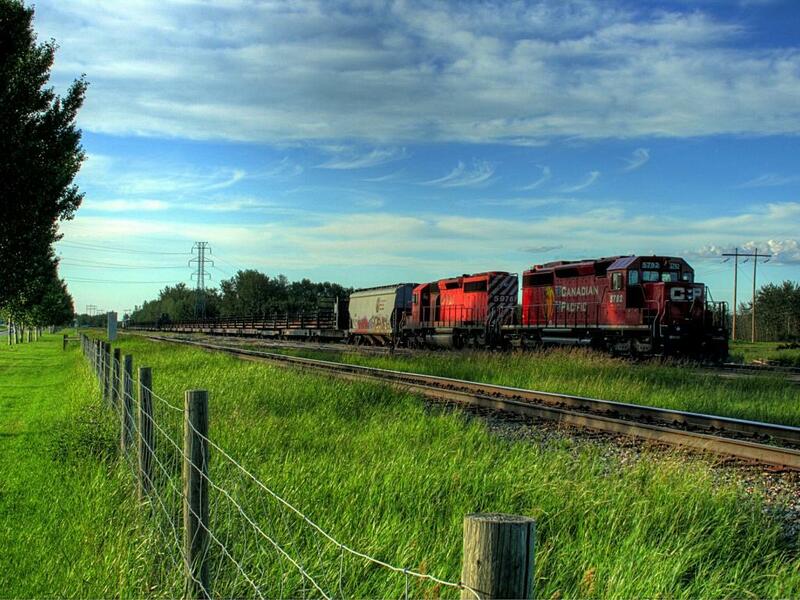 Could Q2 Mark The Bottom For Canadian National Railway's Volume Woes? 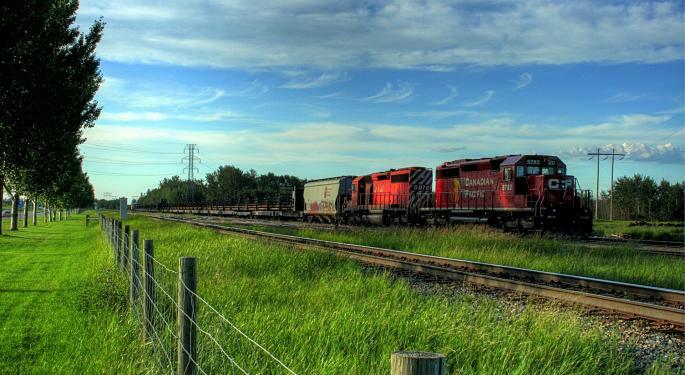 Barclays analyst Brandon Oglenski is wondering whether the second quarter will mark the bottom for the volume woes of Canadian National Railway (USA) (NYSE: CNI), which reported second-quarter adj. EPS of $1.11, beating both Barclays estimate of $1.05 and consensus view of $1.06. The analyst noted that the management was a bit more subdued on the volume outlook, but did note the second quarter likely marked the bottom. "A stronger grain harvest in the US and Canada could help for CN heading into the back half of 2016. However, we think a potential volume recovery would also help peer stocks Canadian Pacific Railway Limited (USA) (NYSE: CP) and Union Pacific Corporation (NYSE: UNP), which trade at valuations below CN," Oglenski wrote in a note. Related Link: Can Canadian Pacific's Cost Controls Position It To Rise Again? The analyst is impressed with Canadian National's sub-55 operating ratio in the second quarter, despite a volume decline of around 11 percent. Similar to other rails, Canadian National signaled lower capital spending on fewer locomotive deliveries in 2017, a move that could provide $300 million - $400 million tailwind to free cash next year. Accounting for additional cost savings from D&A and pension, Oglenski raised his 2016 EPS by $0.08 to $4.40. In addition, the analyst's revised 2017 estimate of $4.75 (up from $4.65) implies 8 percent EPS growth. Oglenski has an Equal-Weight rating on Canadian National shares. "Lower pension and depreciation costs are driving a slightly better outlook, but continuing challenges across many energy and commodity markets keep us on the sidelines for CN shares," the analyst added. Shares of Canadian National Railway closed Tuesday's trading at $63.33. Early into Wednesday's regular trading session, the stock was seen up 0.77 percent at $63.82.